At three thirty today, Parliament are being asked to say yes to a national inquiry into disability violence, abuse and neglect. I heard today that you are standing shoulder to shoulder at Parliament with other disability advocates, making your voice heard. 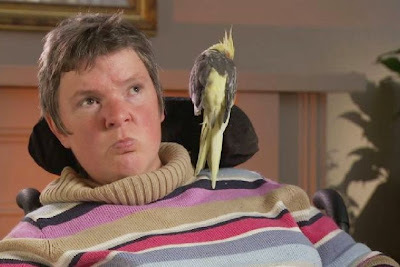 When I watched the Four Corners episode, where you talked about being raped by a disability support worker, I cried. You spoke out with such ferocity. You understood that this man was wrong to do what he did. You spoke up, and he went to jail, and now the nation waits to hear what our Government will do. I don’t know if you know how important your voice is. That you have made change for hundreds and thousands of Australians with disability – no matter what they say today. You were not just speaking up for yourself. You were speaking up for every single woman with disability who has been raped or who has suffered some other form of violence – that’s 90% of Australian women with an intellectual disability. Her absence filled the world. 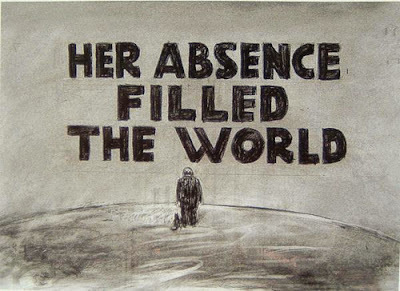 It's an image by Kentridge, a simple sketch of a figure standing on an empty hill with the words 'her absence filled the world' sprawled across it. An desolate image that makes you think about loneliness and loss, and grief. For me, it makes me think of something other. I read a story a few years ago, and it haunts me still. It is about a girl, a young girl who moved out of her home in Pyramid Hill when she was nineteen. Her learning disability was mild enough to present few barriers, and she could read and write and work. Her name was Krystal Fraser.